I started making blueberry jam a few years ago and handed a few pots out to family and friends. This has proved to be a bit of a double edged sword and my production is having to increase yearly. Friends start returning the pots from January, just incase I happen to be making some more…Despite some years being a bit of a hit and miss -when the jam has been more like a blueberry soup or coulis! Still I persevere in the quest for the perfect jam-not too sweet with plenty of fruit and just about holds its shape on a spoon! Well the blueberries are in abundance at present and although I have quite a few bushes at home the birds have managed to scoff the lot.So I went to our local pick your own where the bushes are dripping with blueberries more than enough for the birds, my family and my friends. So to make this years jam. Place about 20 clean heat resistance jam jars and their lids in a roasting pan half filled with boiling water at for 10 minutes to sterilise them. Then drain upside down on a clean tea towel. Place the fruit in a large heavy based pan over medium heat add the sugar and slowly bring to a rolling boil stirring occasionally Add a knob of butter Boil for 4 minutes then remove from heat and add the pectin. 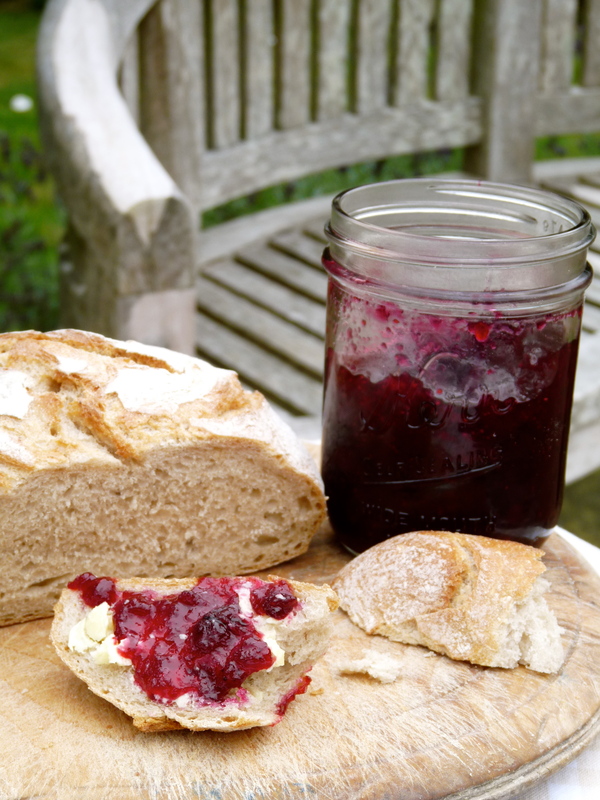 Stir and leave to cool slightly before pouring into jam jars. (If you are only making 1kg of fruit you only boil the jam for a couple of minutes.